What about a digitised chapter or article? 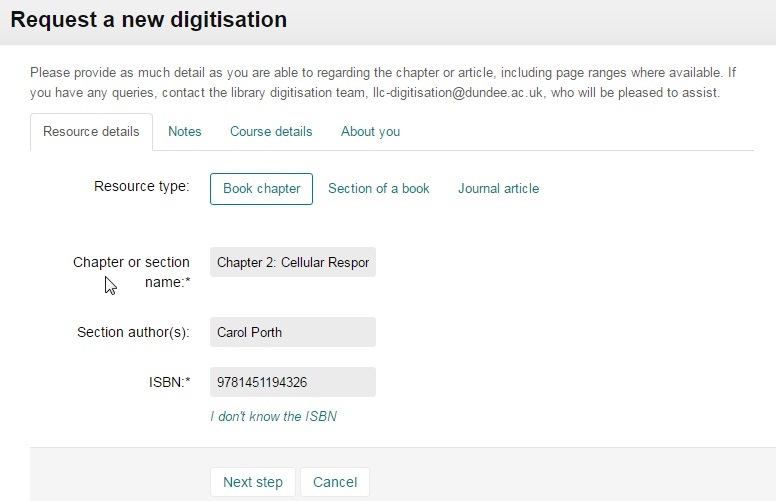 Reading Lists: What about a digitised chapter or article? How do I add to my list? How do I find my list? How do I organise my list? How do I add Books to my list? How do I add Journal articles to my list? How do I add webpages/websites to my list? What can I get digitised? We can make book chapters, articles, and printed materials available to students through their Reading Lists in PDF format. The University holds a licence from the Copyright Licensing Agency (CLA) which allows us to photocopy and scan (digitise) material for teaching, subject to certain limitations. Contact us at llc-digitisation@dundee.ac.uk for more information and help. 1. How do I get the digitisation on my reading list? 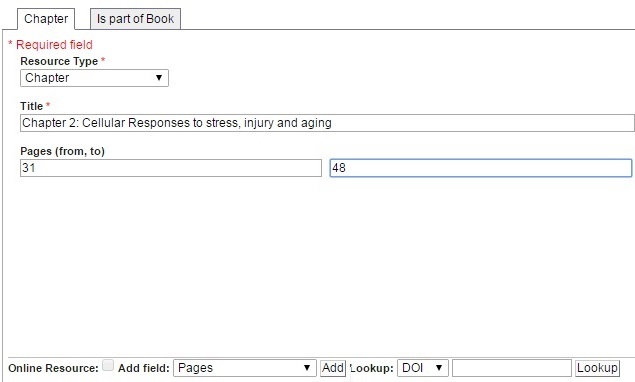 Then complete the form by adding fields from the pull down menu. Choose create & Add to list, choosing which module you want the digitisation available for. Check each screen as you choose next step. Complete as much detail as you can until you can submit request. << Previous: How do I add webpages/websites to my list?